CLOSEOUTS. 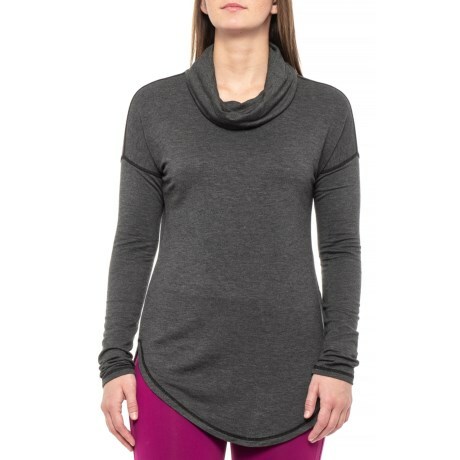 This 90 Degree by Reflex cowl neck shirt takes you to the yoga studio and beyond in soft, stretchy rayon jersey with a flattering curved hem. Available Colors: HEATHER CHARCOAL, HEATHER GREY. Sizes: S, M, L, XL.